What is wrong with the Nordic model? The economic and social policies pursued in the Nordic countries are often cited as examples of good governance for other states to follow. But should the rise of right-wing populist parties in Denmark, Finland, Norway and Sweden prompt a reassessment of this Nordic approach? Michael Cottakis argues that the Sweden Democrats’ result in the 2018 Swedish election highlighted the country’s failure to manage immigration effectively. Unless the Swedish government can facilitate better education of foreigners and promote more flexible recruitment policies, the country could soon become an archetypal example of the hollowing out of the much-vaunted Nordic model. Political scientists love the Nordics. They seem to have everything right. Their model is often held up as the pinnacle of good governance, economics, and social policy. Adoption of Scandinavian institutions and ways of doing things by other countries is wistfully advocated by disaffected citizens in other parts of Europe. But is the Nordic model losing some of its traditional lustre? With the Sweden Democrats scoring over 17% at the recent Swedish elections, and with far-right movements gaining ground in Denmark, it seems the Nordics are more like the rest of us than perhaps first thought. The strong performance of far-right parties in Sweden, Denmark, and Finland is regularly traced to dissatisfaction with the EU. Many conservative commentators will suggest that membership of the single market forces traditionally liberal and free-trade oriented Nordic states to work within an economic straitjacket, compromising growth, and the quality of economic institutions. It is an argument taken further by the populists: free movement of persons within the EU leads to the admission of large numbers of ‘undesirables’, poisoning traditional Nordic societies. This is rhetoric UK readers might recognise. But is the EU the root cause? My suggestion is no. Indeed, the most successful right-wing populist party in Scandinavia is the Norwegian Progress Party, which unlike the Sweden Democrats or the Danish People’s Party, is in government. Norway, of course, is not a member of the EU. Moreover, little evidence exists that EU regulation has curtailed Nordic competitiveness – quite the opposite. Major Scandinavian multinationals, such as IKEA, H&M, and Maersk, have rode on the openness afforded them by the single market to achieve considerable growth in the last twenty years. So, if not the EU, what is happening to the Nordics? Clearly, high quality institutions, well-functioning economies, and strong social security systems have not saved the countries from the wrath of the global populist backlash, with all its anti-immigrant and nativist venom. That immigration is the most contentious issue in Scandinavian politics would seem somewhat surprising. The tolerance, openness, and charity of Nordic societies towards immigrants is noteworthy. Swedish colleagues of mine have often used the term ‘humanitarian superpower’ to describe their country’s friendliness towards immigrants and people in need. Humanitarian superpower or not, the record of integrating immigrants into Swedish society is at best patchy. According to estimates from the Swedish Migration Agency, a foreigner, or non-native, is three times less likely to get a job. The segregation of foreigners from Swedes is another significant concern. 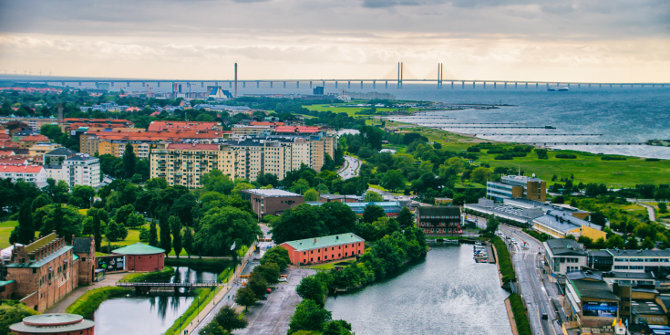 In the predominantly immigrant district of Rosengard in Malmo, employment figures stand at only 27% – compared with 78% nationally. Much of this stems from the structural needs of the Swedish economy. Formally an industrial hub, Sweden’s is today more service or technology-oriented than any economy in northern Europe. To compound this, company hiring policies are strict and require even entry-level recruits to be highly educated – in some cases only a Master’s degree is enough to guarantee an interview. For immigrant families, postgraduate education involves problems, not only because of the financial cost (many Master’s courses are free), but mainly due to the cost in time. Many will end up working low-paid jobs, assisting in small family enterprises, independent shops, or pharmacies. Many more will be unemployed. In small isolated cases, the resentment might lead to criminal activity. This in turn mobilises conservative groups in opposition to foreigners. It is a cycle well-known in other parts of western Europe. The populist surge of the last few years has much to do with the sheer numbers of immigrants coming in. In 2015 alone, over 160,000 refugees were welcomed into Sweden at huge political cost for the Social Democrat-led coalition government. Even prior to this, the country’s public services were creaking: schools, hospitals, and housing struggle to soak up the volume. The Sweden Democrats surged in the polls, forcing the government to impose a 30,000 limit on net immigration. Paradoxically, Sweden has significant demand for high skilled labour. With start-ups and high growth enterprises emerging at a fast pace, the existing labour force struggles to provide the resources needed. The temptation for many firms is to consider pastures new, with London and Berlin well-known destinations. The labour shortfall thus poses an existential risk to the Swedish economy, one which politicians on both sides of the political centre are struggling to get to grips with. Better education of foreigners and more flexible recruitment policies can help solve Sweden’s immigration crisis. Furthermore, immigrants can provide a new impetus for the Swedish economy. Future Swedish governments must communicate these facts to their citizens, or face the slow hollowing out of the much-vaunted Nordic model. Michael Cottakis is a political scientist and President of the 1989 Generation Initiative at the LSE. Problem is neoliberalism, with its penchant for privatization of public services, has for the past 20 years infected the Swedish school system with all the accompanying social ills. Sweden and Chile are the only countries where profit-making schools are publicly financed with taxpayers’ money. Private schools are siphoning off millions of crowns of taxpayers’ money.with more than 20% of primary and secondary school children attending a privately-run school funded by public money. Private schools are seen as a safe investment for profit-hungry private equity firms. The private school sector is controlled by six private companies. The biggest of the six, Academedia, is owned by the venture capital firm, EQT, registered in the tax haven of Guernsey. Academedia has over 100 schools and 45,000 pupils in Sweden. It made record profits of over $29 million in 2010. Schools run by private companies spend less money on each pupil/student and have fewer teachers than publicly-run schools. Private schools lack libraries, canteens, school playgrounds, etc.The introduction of private schools has increased social and ethnic segregation and an overall decline in standards. Bravo Michael. This speaks to the heart of the problem in all nations. The solution is clear, only inhibited by political motives. I need to side with mary. Immigrants are a scapegoat. Even in the Nordics , the 1% keeps accumulating wealth and power at the expense of others. Neoliberalism (of which i was a proponent in my sins 30 years ago) is the root cause. By blaming immigrants, you are falling into the trap set fro the 99%: look elsewhere, – it’s immigrants or foreigners or lack of patriotism… choose one. Just not the real problem: the growing concentration of more and more power in less and less hands. People feel it and vote their dissatisfaction while the real culprits get away. There was a recent article about inequality in Sweden. (Viktor Skyrman, Social Europe, Sep 3rd 2018 and other articles). The blame for the protesting votes isn’t with the downtrodden who try to improve their lives but at the highest economic shift that controls a disproportionate part of wealth. Hi Eyal, thank you for your comments. I return to them belatedly. My main point is different to what you say. I do not intend to ‘blame’ migrants for the rise of the far right, nor to scapegoat them. I am simply demonstrating why the far right has had such success in scapegoating migrants. I make the point that far-right parties are gaining power by a failure of political elites to develop a forceful pro-immigration counter narrative. This leaves the ground for populists to turn the blame upon migrants for all their ills. The argument is easy to make, especially given the numbers coming in and the decline in western national institutions (which has myriad other causes than immigration!!!). My discussion centres on the need to better integrate immigrants given that western societies increasingly need them. Per capita, these societies are getting older and need a demographic boost. Sweden is a prime example, Germany another – partly why both originally adopted an open doors policy (with which, again, I totally agree in principal). Thus, we are in agreement that migrants are wrongly scapegoated. But when you ask far-right voters why they are voting the way they do, immigration is often the first response, alongside other well known topics such as globalisation and neoliberalism. This matter deserves attention. You allude to deeper problems with neoliberalism, or more precisely financialised gloabalised capitalism, and you make a very good point. However, this was not the focus of the article. Instead, the focus is on the far-right for which the immigration question takes front and centre stage.